The resort offers daily historic tours and an extensive complimentary children’s activities program called Mountaineering Club. 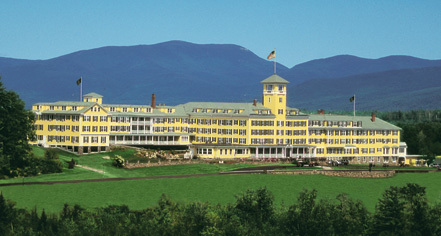 At Mountain View Grand Resort & Spa, guests can enjoy endless facilities and services, including golf on a historic course (opened in 1900), tennis, indoor and outdoor swimming, dogsled adventures, axe throwing, evening campfires, and a wide range of activities both at the hotel and off-site in the magnificent White Mountains. 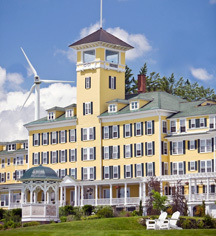 Mountain View is the only hotel or resort in New Hampshire to earn AAA Four Diamond honors in both Lodging and Dining for 2008 through 2012. A perfect marriage of charming elegance and contemporary amenities, Mountain View Grand is a member of Historic Hotels of America. Mountain View Grand Resort & Spa, a member of Historic Hotels Worldwide since 2013, dates back to 1865.